The bye-pocalypse is upon us. 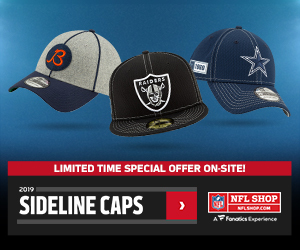 In their infinite wisdom, the NFL schedule makers hit television viewers and fantasy players with six teams resting in Week 9, as the Colts, Bengals, Giants, Eagles, Cardinals, and Jaguars will all be sidelined. With weekly fantasy starters like Saquon Barkley, Odell Beckham, A.J. Green Andrew Luck, and Carson Wentz on the bye and the general player pool dramatically thinned out, this is an important week for fantasy owners to find hidden gems. 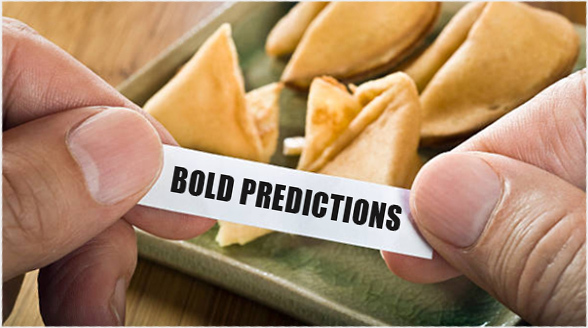 So, this week’s Bold Predictions will be digging a little deeper than normal. 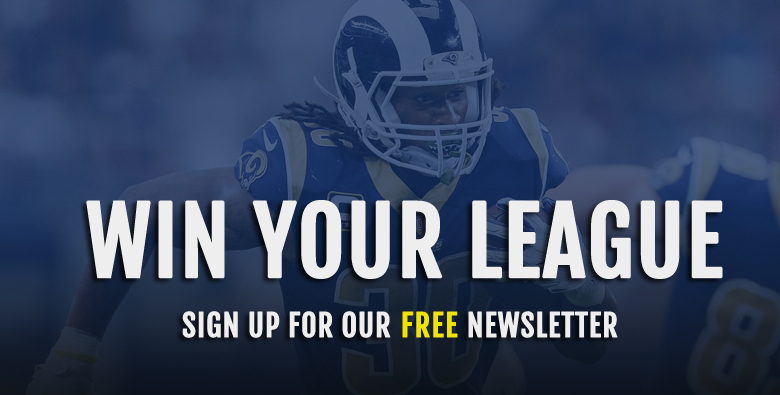 The below projections are meant to highlight sleepers and lesser-owned players who could put you over the top in season-long and DFS contests, or guide you toward fading a popular fantasy option who is poised to disappoint. Questions about our bold predictions or your own weekly lineups are encouraged and appreciated via the comments section or on Twitter. Ryan is known for enjoying greater NFL and fantasy success at home than on the road and his splits in 2018 are dramatic. In the friendly confines of Mercedes-Benz Stadium in Atlanta, Ryan is averaging 359.8 passing yards and 2.8 touchdowns through the air, but on the road he’s at just 268 yards and 0.5 touchdowns per game. He’s also been fortunate this season to play against four of the five worst defenses in the NFL in terms of fantasy points allowed to opposing quarterbacks. A trip to Washington this week will pit Ryan against one of the better statistical defenses he has faced in 2018, and the Redskins have allowed just four passing scores combined over their last three games. It might be difficult to bench him with all the byes this week, but Ryan is poised to disappoint fantasy owners. The obvious winner from the Golden Tate trade out of Detroit is Kenny Golladay, but there will be plenty of targets to go around in the new-look Lions passing game. Tate saw a whopping 27.2% of all targets in Detroit this season, the tenth-highest target share in the NFL through eight weeks, and Golladay isn’t going to absorb all of that opportunity. Riddick has been out since Week 5 with a knee injury, but returned to practice this week and was seeing six targets per game before his absence. He’s likely to dip into the increased targets Kerryon Johnson has seen over the last two weeks, while also picking up some of the volume available after Tate’s departure. Don’t be surprised to see Riddick split out at times as a receiver in the coming weeks, something he’s done throughout his career in Detroit, potentially filling some of Tate’s role out of the slot. The Vikings have given up the seventh-most receiving yards to opposing running backs in 2018 and Riddick’s flexibility to line up all over the field will serve him well in Week 9. Owned in just 40.7% of ESPN leagues, Moore is a plug-and-play WR2 this week in a dream matchup with Tampa Bay. The Buccaneers are giving up over 300 passing yards per contest, including a league-worst 20 touchdowns allowed through the air in seven games. 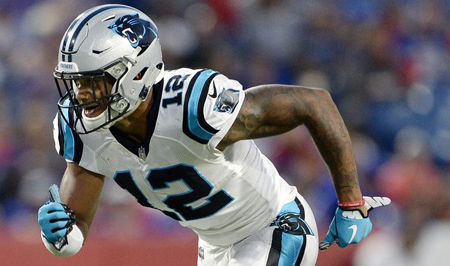 Moore, the first wide receiver selected in this year’s NFL draft, got off to a slow start in his rookie season but has turned it on since Carolina’s bye in Week 4. In the four games since Moore has been targeted 20 times including a team-high six last Sunday, and he’s coming off career highs in receptions (5) and yardage (90) last week, as well. As the Panther’s most explosive wide receiver, Moore is trending up in time to take advantage of a great matchup. He can be started with confidence this week across fantasy leagues. Fresh off an 81-yard rushing day in which he scored a touchdown for the second consecutive week, Howard seems to be in a good spot for continued fantasy success as a 10-point favorite against the lowly Bills. However, the Chicago/Buffalo game has the lowest projected point total of Week 9 and the Bills defense isn’t as bad as you might think. Buffalo is giving up the sixth-fewest total yards per game in 2018 and the fantasy points conceded to opposing running backs are skewed by two really bad outings. After giving up three rushing touchdowns in the opening week of the season to Baltimore, the Bills have allowed just three scores on the ground to opposing running backs in the last seven games. And outside of a 219-yard explosion from Colts rushers a few weeks ago, Buffalo has allowed a total of just 482 yards rushing to opposing backs in its other seven contests. Howard is averaging just 3.5 yards per carry on the season and hasn’t seen more than 58% of the Bears offensive snaps since Week 3, setting him up for fantasy disappointment on Sunday. After signing a three-year contract with Seattle in the offseason, Dickson was limited in training camp by groin and quad injuries before ultimately landing on the reserve/non-football injury list and missing the team’s first six games of 2018. 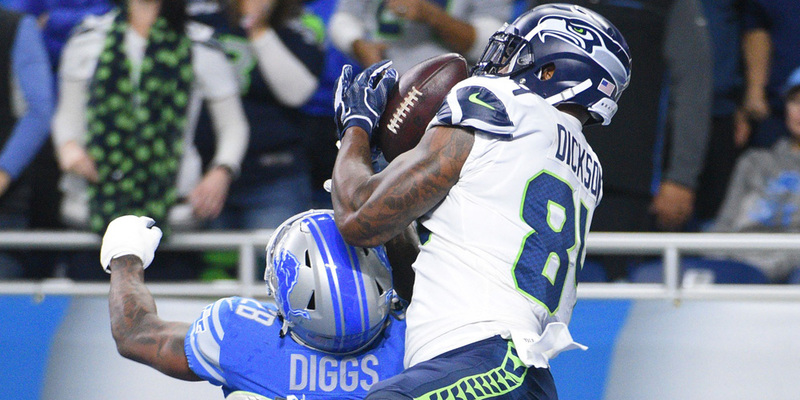 However, playing on just 32% of the Seahawks’ offensive snaps in his return to the field in Week 8, Dickson managed 52 yards receiving a caught a touchdown. In aggregate, Seattle tight ends have 359 yards receiving and three touchdowns on the season, which isn’t far off of the TE1 pace. Given the general state of the position and a few big names on a bye this week, Dickson has as much opportunity as most tight ends this week to produce for fantasy owners. The Chargers are giving up the 13th-fewest fantasy points to opposing tight ends on the season, but have drawn favorable matchups with the likes of Tennessee, Buffalo, and the Rams. Big weeks for George Kittle (6/125/1) and David Njoku (7/55/1) in two of the Chargers last four games demonstrate the potential for tight ends to produce and Dickson is ready to step into that role in a Seattle passing game that is desperate for additional weapons. You won’t feel good doing it and he obviously comes with considerable risk but in a week with a number of fantasy signal-callers on a bye or facing bad matchups, Osweiler is likely to outperform several more popular options at the quarterback position. Despite a horrendous game last Thursday against the Texans, Osweiler is averaging more fantasy points over the last three weeks than guys like Drew Brees, Deshaun Watson, and Philip Rivers. He is averaging more than 37 pass attempts per game as a starter this season and has multiple touchdown passes in two of three games. This week, Osweiler faces a Jets defense that has given up at least two passing touchdowns in each of its last five games and has allowed the sixth-most fantasy points per game to opposing quarterbacks over that stretch. Coming off a 10-day break and starting at home against a Jets team playing the second of back-to-back road games, I like Osweiler to reward bold fantasy owners in Week 9. Thomas was generally drafted as a WR2 this summer, but has been a fantasy disappointment and perhaps isn’t someone fantasy owners have been counting on in recent weeks. However, he’s currently being started in more than half of ESPN standard leagues and that percentage needs to go down. Following a trade to the Texans, owners might be excited about the upgrade in quarterback play from Case Keenum to Deshaun Watson, and the move could certainly help to buoy Thomas’ fantasy value over the balance of the season. But when he takes the field on Sunday (in Denver, coincidentally), Thomas will have been with his new team for less than five days. He’s not going to know much of the playbook and probably won’t see a ton of snaps. There is plenty of historical evidence to demonstrate that wide receivers start slow following midseason trades, including a three-catch, 42-yard outing for Kelvin Benjamin in his first game with the Bills last season. The only way I see Thomas having value this week is if the Texans force it to him in the redzone so that he can have one last moment in front of the Denver fans. But you don’t want to count on that for fantasy purposes. As previously noted, wide receivers changing teams midseason typically need at least a few games to get acclimated to their new surroundings. While Cooper has been with the Cowboys for an extra week, having been traded on October 22, Week 9 will mark his first game action in a Dallas uniform. Bovada has the over/under on catches and yardage for Cooper this week at four receptions and 50.5 yards, but that might be generous. 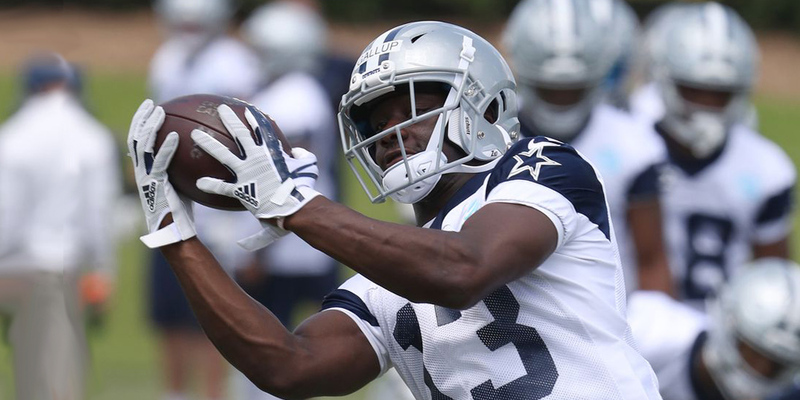 Comments from coach Jason Garrett that Cooper is an “elite outside receiver” suggest Dallas will primarily line Amari up on the edges, even though he has struggled to beat press coverage and has been more effective from the slot. Titans cornerback Malcolm Butler is definitely beatable on the outside, but I prefer Gallup this week as he draws less defensive attention. The rookie played more offensive snaps than any other Dallas receiver over the last two games and had his best performance to date in the Cowboys last outing, recording 81 yards and a touchdown. Cooper’s arrival hurts his long-term value, but I expect Gallup to outperform his new teammate at least for one week. Adrian Peterson dominated running back touches last week and will be the primary ball-carrier again for Washington in Week 9. However, with Chris Thompson trending toward missing this week’s game against Atlanta, Bibbs is in a prime spot to offer sleeper appeal as a flex option for fantasy owners in PPR leagues. 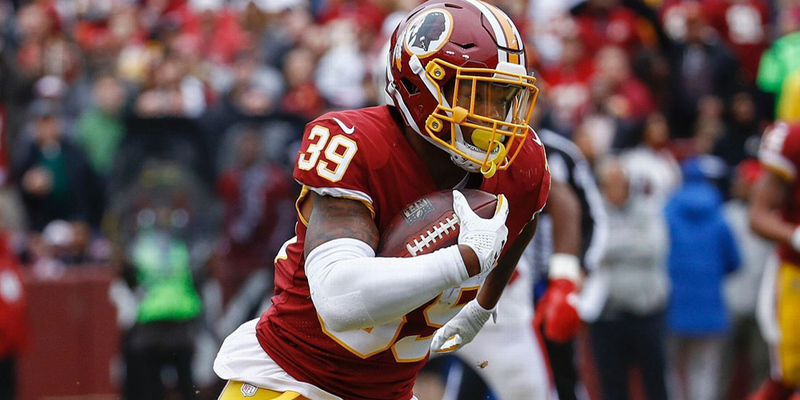 In the Redskins’ last game without Thompson in Week 7, Bibbs was targeted five times in the passing game, second-most on the team, and collected four receptions for 43 yards and a touchdown. Jamison Crowder has already been ruled out for Sunday and both Paul Richardson and Jordan Reed are on Washington’s injury report this week, leaving a serious need for viable pass-catchers. The Falcons are giving up the most receptions (62) and third-most receiving yards (476) to opposing running backs this season, setting Bibbs up for another respectable fantasy outing in a bye-depleted Week 9.